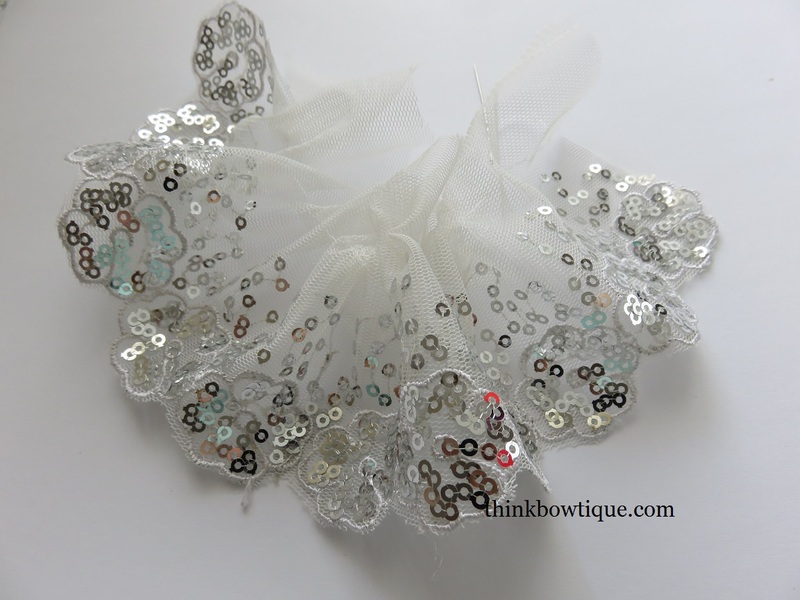 You will need a small length of sequin lace trim. 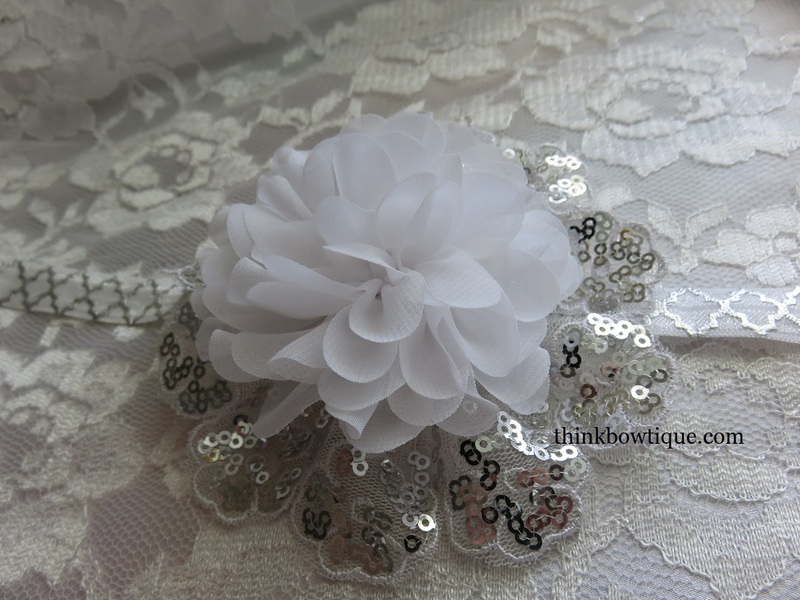 For this flower I used a 35cm length. You could use 2 17.5cm lengths and overlap them. With you needle threaded and the thread knotted. 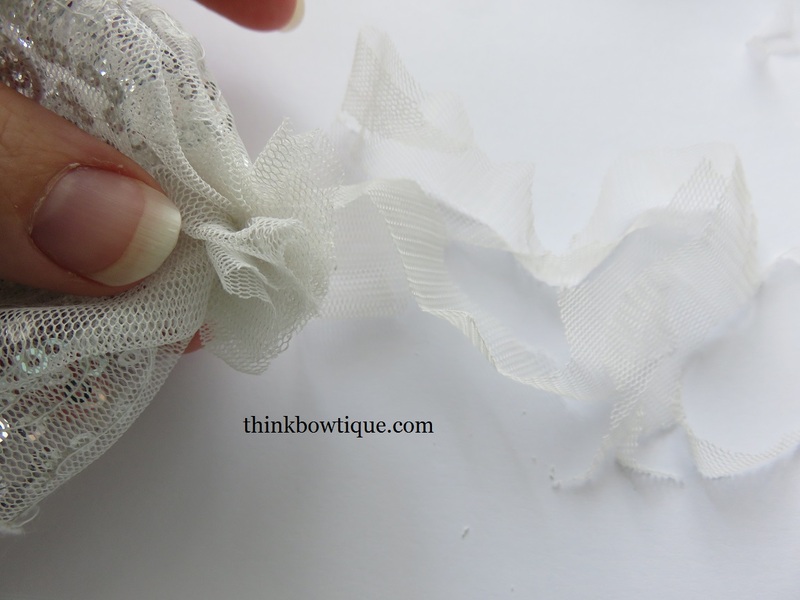 Stitch a knot on you lace about 1 cm above the sequins. 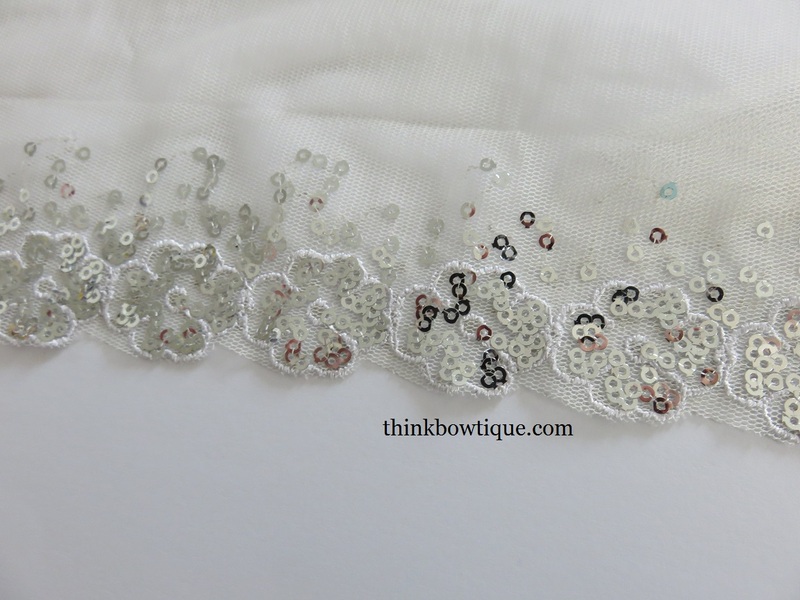 Continue with a gather stitch about 1 cm wide until you get to the end of you strip of sequin lace trim. 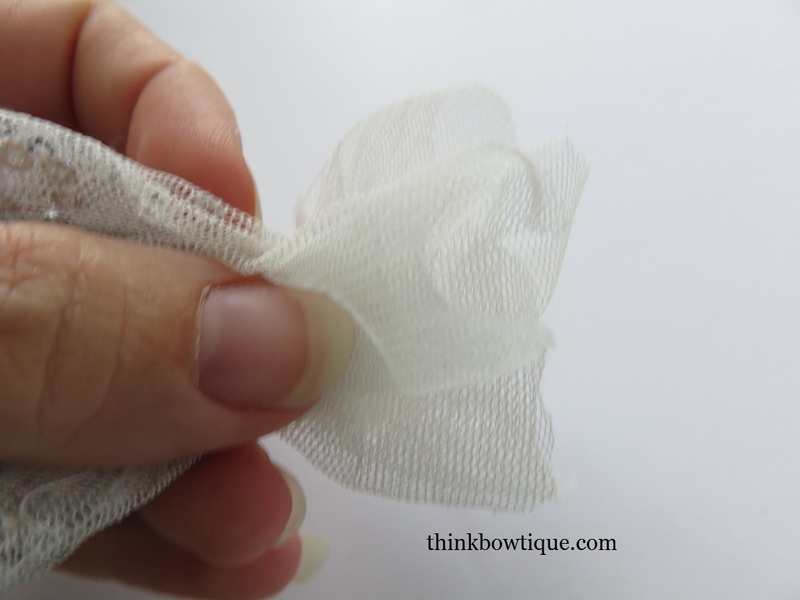 Once you reach the end, pull on your thread and gather the lace. 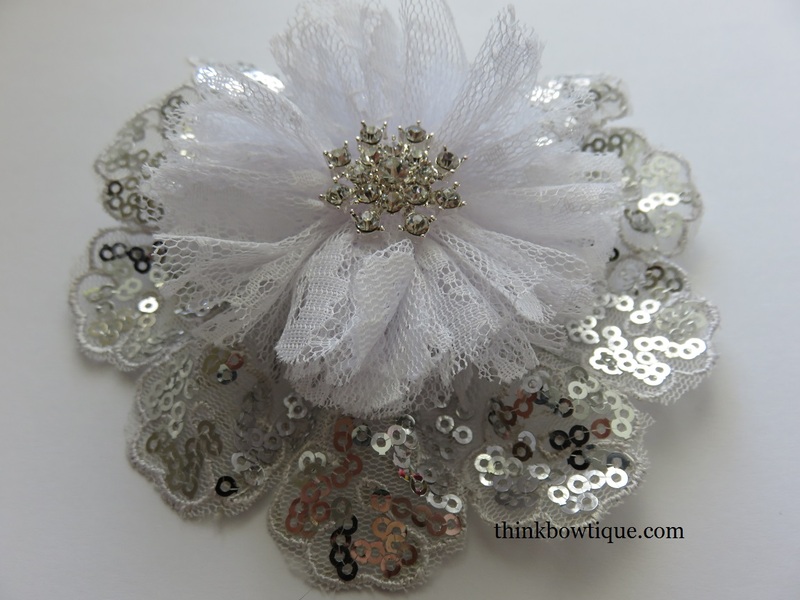 Take the end of your sequin lace trim and overlap the end two flowers. Place ends where you would like them to sit. 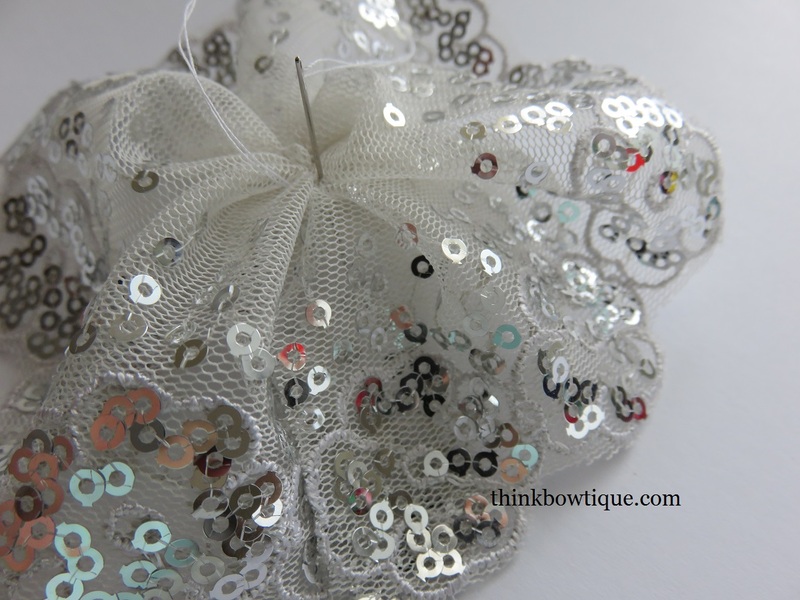 Now stitch the centre of your lace sequin flower in to hold in place. 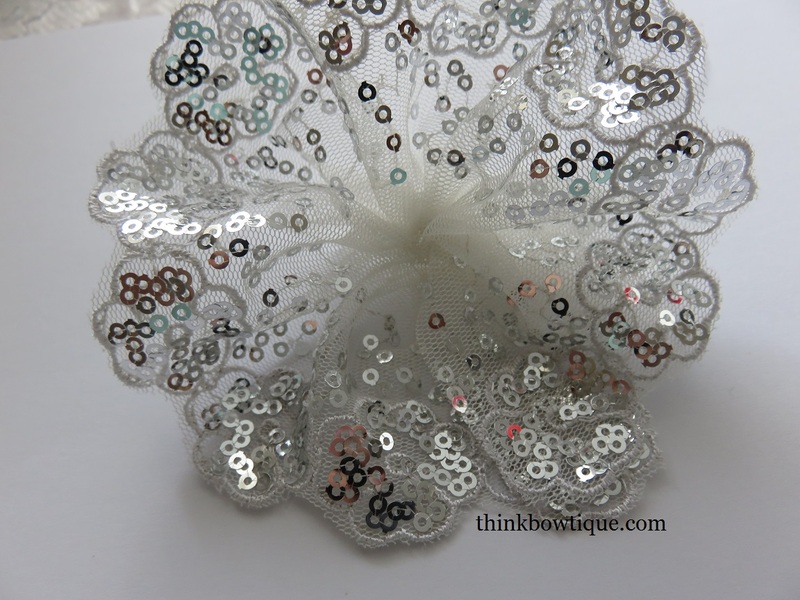 You will have a gather of lace in the middle of your flower. Trim it back to about 1 cm long. 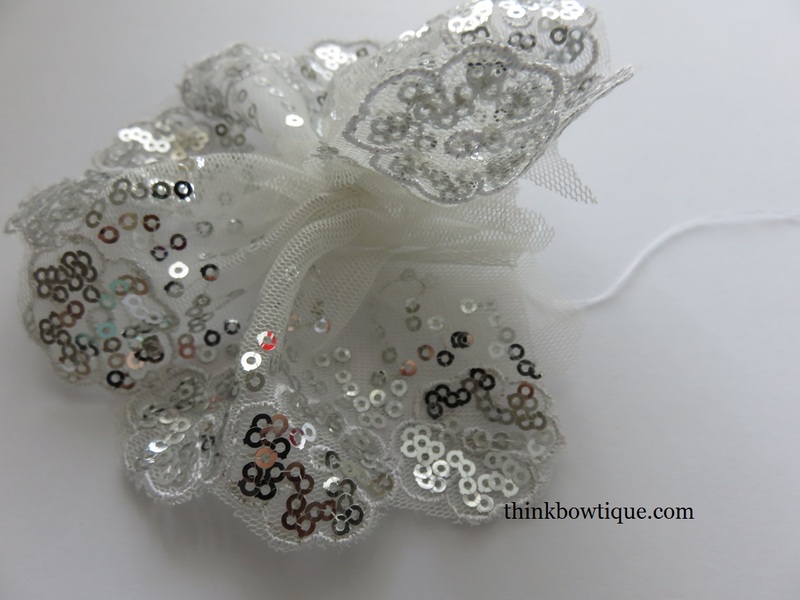 Now it’s time for the fun part embellishing the centre of your sequin lace flower. 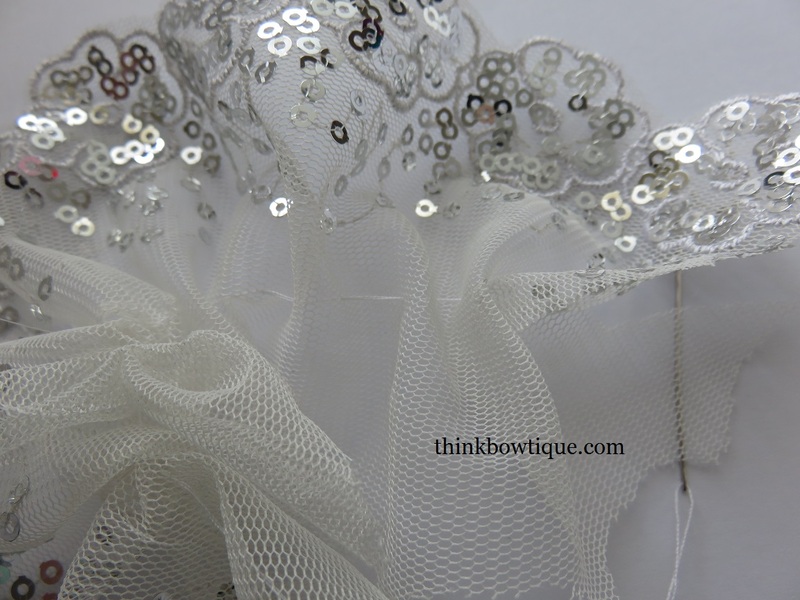 With so many options available at Think Bowtique the hardest part will be deciding what to use. 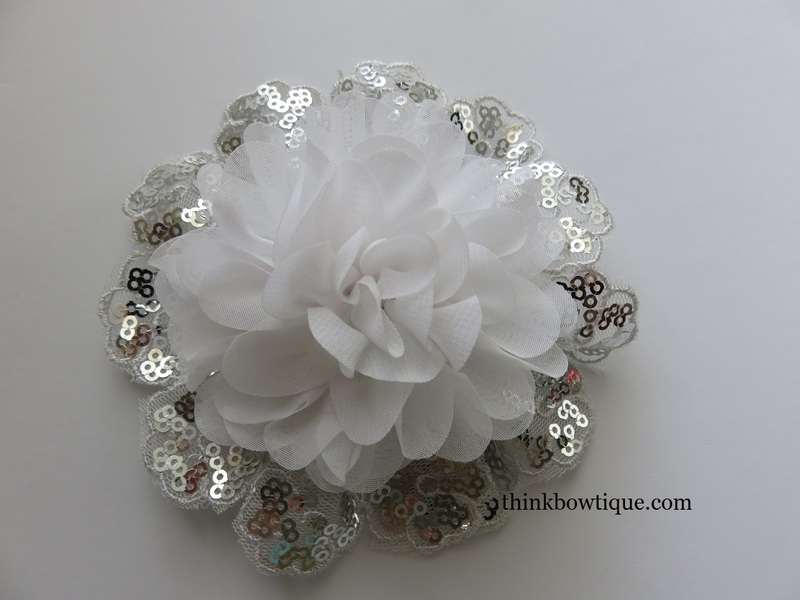 The flower below has a Dahlia chiffon flower in the centre. 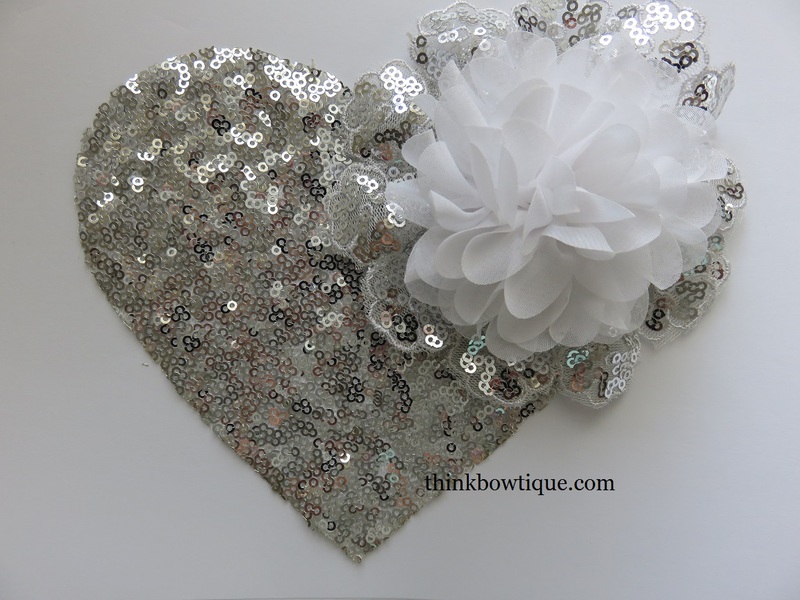 This flower looks very pretty on a sequin lace heart and would look stunning on a shirt. This gorgeous flower could be used to embellish tops, tuttus, bags, hats, oh the possibilities are only limited to your imagination.